Stop use and ask a doctor if rash and irritation develops and lasts. Apply smoothly every morning before sun exposure and as needed. Apply the product with your fingertips. 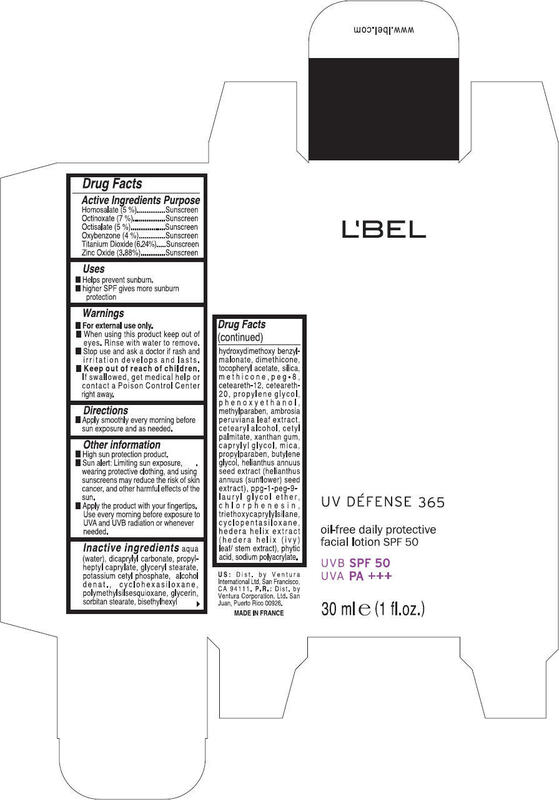 Use every morning before exposure to UVA and UVB radiation or whenever needed. aqua (water), dicaprylyl carbonate, propylheptyl caprylate, glyceryl stearate, potassium cetyl phosphate, alcohol denat., cyclohexasiloxane, polymethylsilsesquioxane, glycerin, sorbitan stearate, bisethylhexyl hydroxydimethoxy benzylmalonate, dimethicone, tocopheryl acetate, silica, methicone, peg-8, ceteareth-12, ceteareth-20, propylene glycol, phenoxyethanol, methylparaben, ambrosia peruviana leaf extract, cetearyl alcohol, cetyl palmitate, xanthan gum, caprylyl glycol, mica, propylparaben, butylene glycol, helianthus annuus seed extract (helianthus annuus (sunflower) seed extract), ppg-1-peg-9-lauryl glycol ether, chlorphenesin, triethoxycaprylylsilane, cyclopentasiloxane, hedera helix extract (hedera helix (ivy) leaf/ stem extract), phytic acid, sodium polyacrylate. Dist. by Ventura International Ltd, San Francisco, CA 94111.